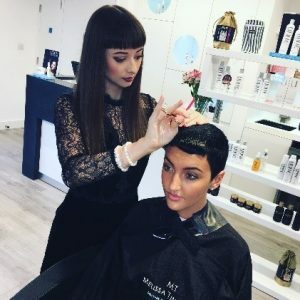 Ever wondered what the Melissa Timperley Salon experience is like? The Melissa Timperley Salon’s excellent Three C’s – Cut, Colour and Client experience has been recognised by awards and attracted a loyal client base who love their salon visit. If you’ve ever wondered what all the fuss is about let us explain … or why not take a look at our video. They say that a picture (or a video these days), is as good as a thousand words! We have one-hour appointments so no client feels rushed or pressured in their time at the Hair Salon. Instead, they can sit, relax and enjoy the experience of being listened to, and having their hair styled exactly as they want. They also get complete one-to-one attention from their senior stylist throughout their appointment. Our aim is to design hair to suit a client’s lifestyle and show them at their beautiful best – this is why we give a deep consultation with every client on every occasion. It enables us to fully understand what look they would like to achieve. 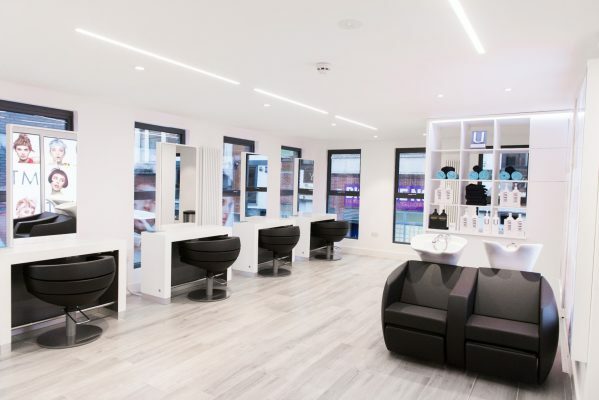 Once inside the Melissa Timperley Manchester Hair Salon, you are hit by the luxury, spa-like feel of the furniture and colour scheme. We have lots of space between styling stations, creating the feeling of exclusivity and privacy. Our German ergonomically-designed chairs contour the body to give support and comfort. The matching backwashes have additional medically approved neck supports to prevent strain/pressure on the neck, and clients’ legs can be raised for ultimate comfort. Our speciality lighting shows clients at their best and was specifically chosen for warmth, and carefully positioned to avoid shadows. 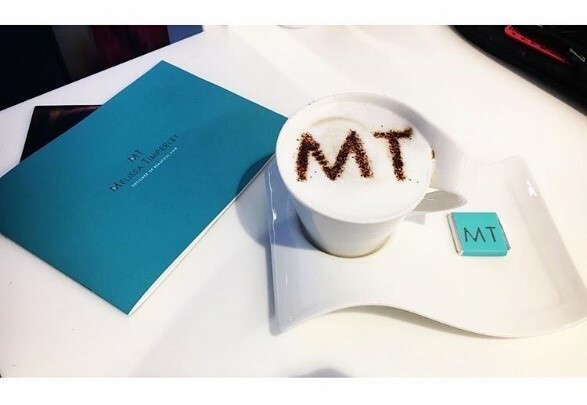 The feel of the salon is opulent; we use Villeroy & Boch crockery and Royal Doulton Crystal glasses which are complemented with an individual Melissa Timperley Salons chocolate. We offer 37 speciality teas and 20 coffee options. Our clients feel like they are having a treat even before they have had a beautiful haircut or colour. The hair styling products we use are award-winning UNITE and Wella products. We also offer clients the opportunity to pre-select any favourite songs or pieces of music in advance of their visit and we add them to our playlist. It creates a great talking point and clients love it. ‘Educate and advise’ is our approach to suggesting products that will benefit clients. We want our clients to feel that they can always achieve and maintain the look they want at home. Our clients really enjoy the advice conversation. It is very important to us to be inclusive, and cater for our less physically able clients. Our salon is fully approved for disabled access by the Buildings Inspectorate.